The small storefront on Greenwich Avenue. 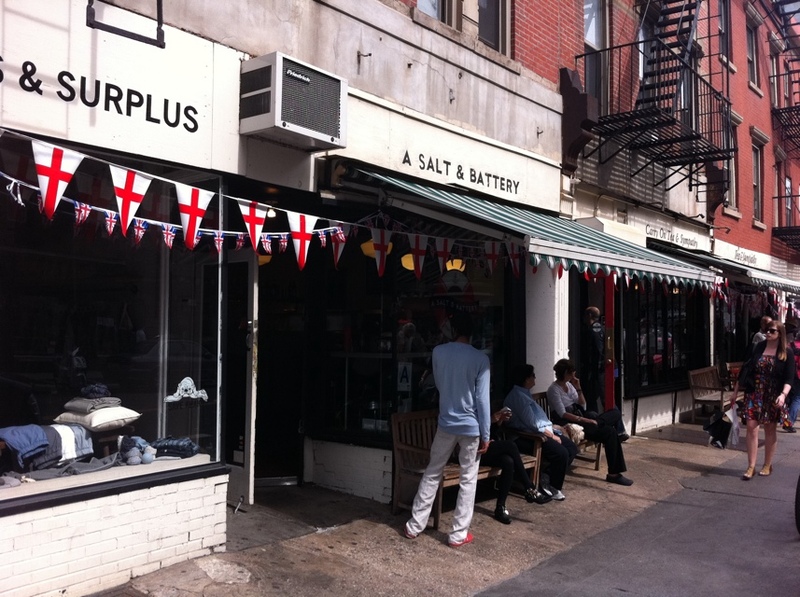 If you’re looking for some above-average cheap eats, it would be a mistake to skip fish & chips place A Salt & Battery on Greenwich Avenue. It's elbow-to-elbow in the small restaurant. There’s really not a lot of room to move around (or sit) in the small joint. Expect to hear classic Brit rock on the stereo (in this case, David Bowie’s Fashion was playing). There are a number of youngish Britons behind the counter. A sign in the place reads “In Cod We Trust.” The whole place is infused with a pretty fearsome English pride. I imagine ex-pats from across the pond would feel quite at home discussing soccer (or footy) here. If there was a bit more room. 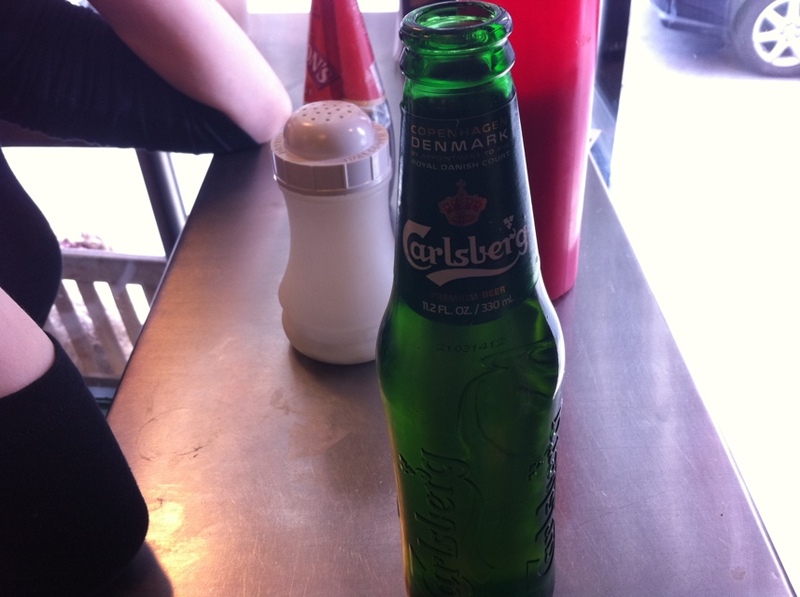 I asked the mop-topped man behind the counter for a beer suggestion as to which beer, and he provided the Carlsberg. 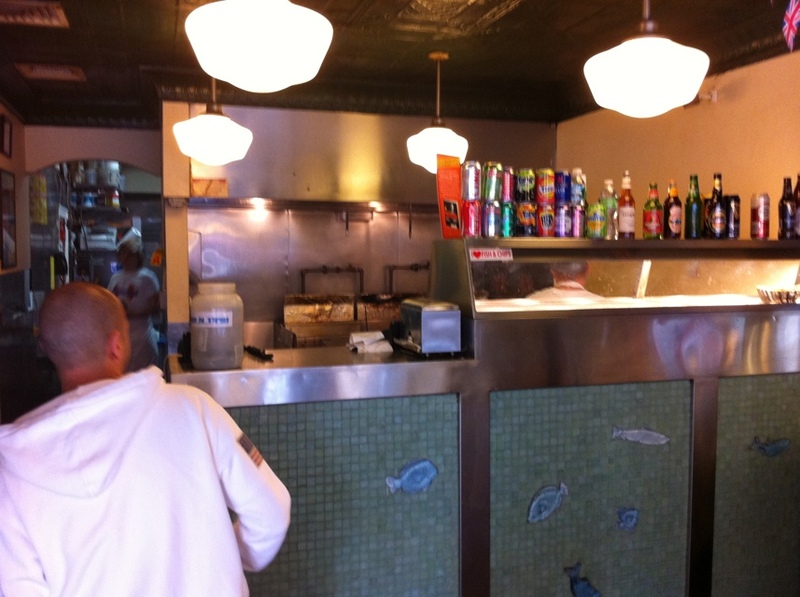 There were numerous different types of fish to get: pollock, haddock, sole and whiting. The pollock was sold out. 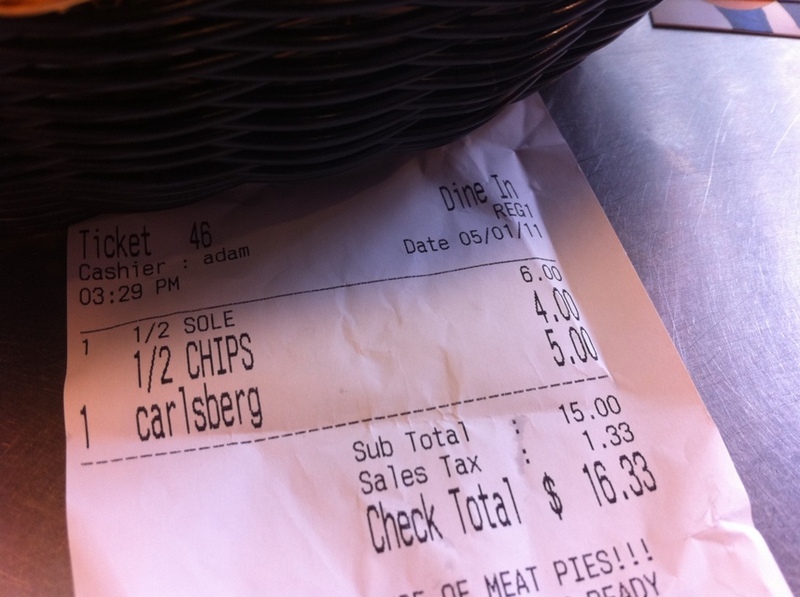 I ordered the small portion of the sole, with chips. The "small" portion of the sole. 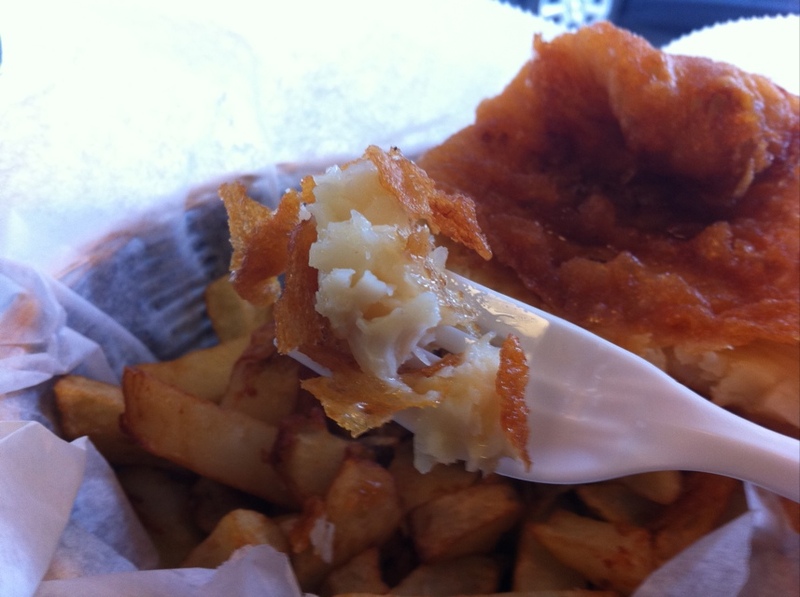 As you can see, the small portion is pretty substantial, especially with the great mound of chips underneath it. But how does it taste? 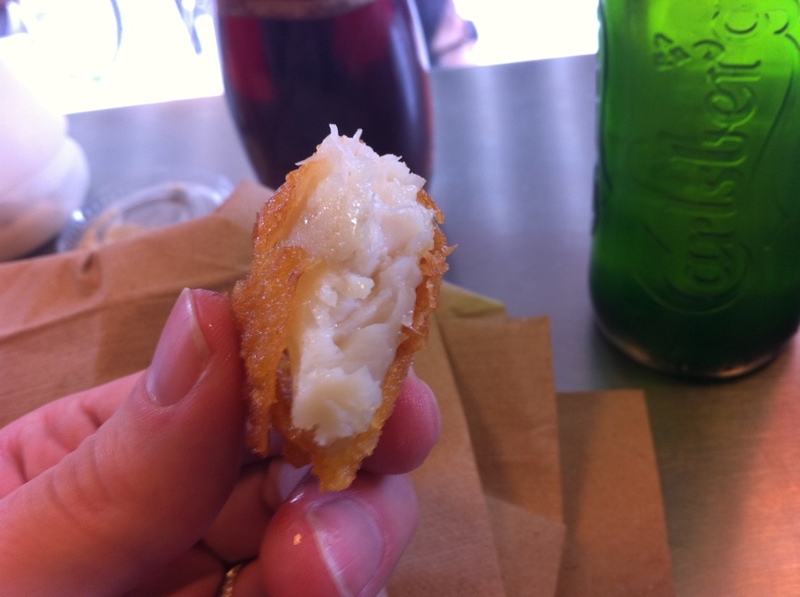 Of course, it was piping hot having come straight from the frier. The batter was substantial and crunchy, but not too thick. The sole, however, was not all that flavorful – when we have it at home, it’s generally more buttery. A generous portion of malt vinegar really punched up the flavor. I had hoped the batter might be have more seasoning: perhaps a touch of garlic, some parsley, lemon zest and the like – you know, to jazz it up. The actual dish was more texture than flavor to me. However, there was a surprise lurking… . 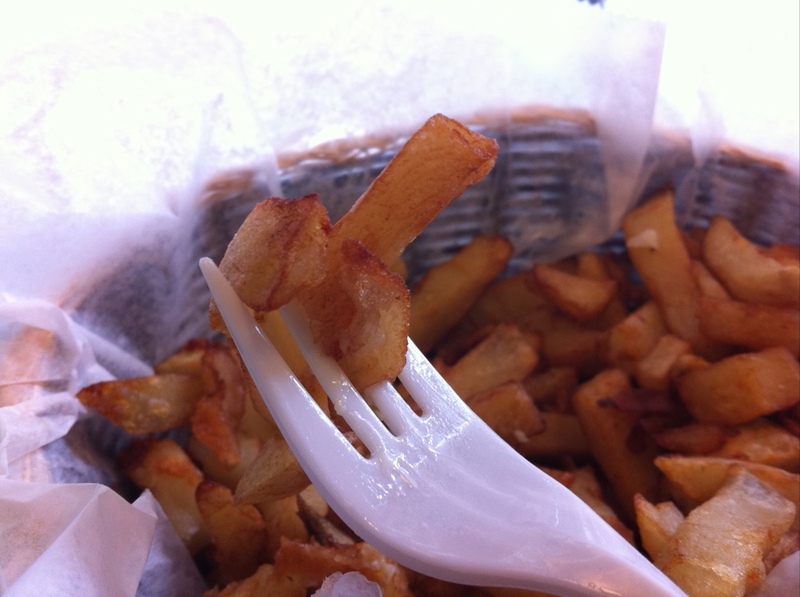 The chips below were scene stealers. I mean they were just amazing. Strong potato flavor, soft, and almost doughy. They were not too battered at all, nor too fried. Really they were an awesome surprise. I’d go back just to get them. 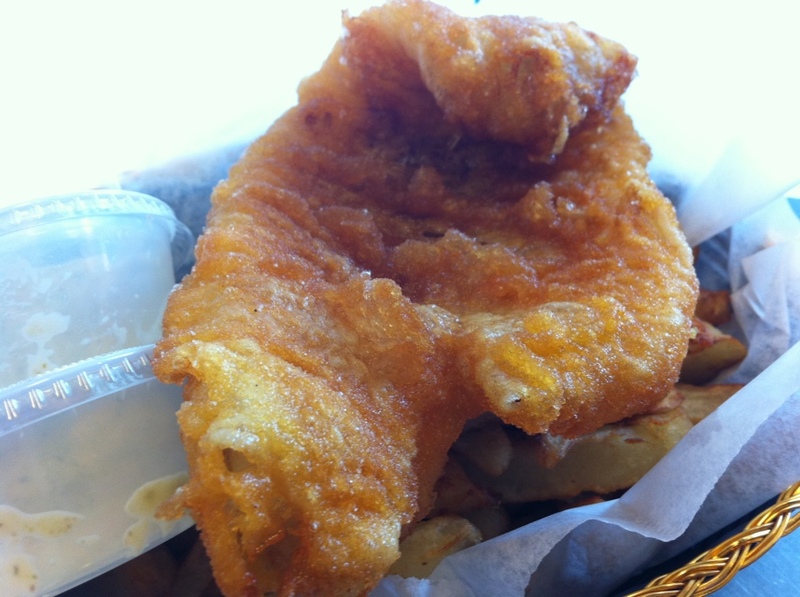 All that food: the fish, the chips and the beer, for just $16? What a steal. All in all, I am pro.